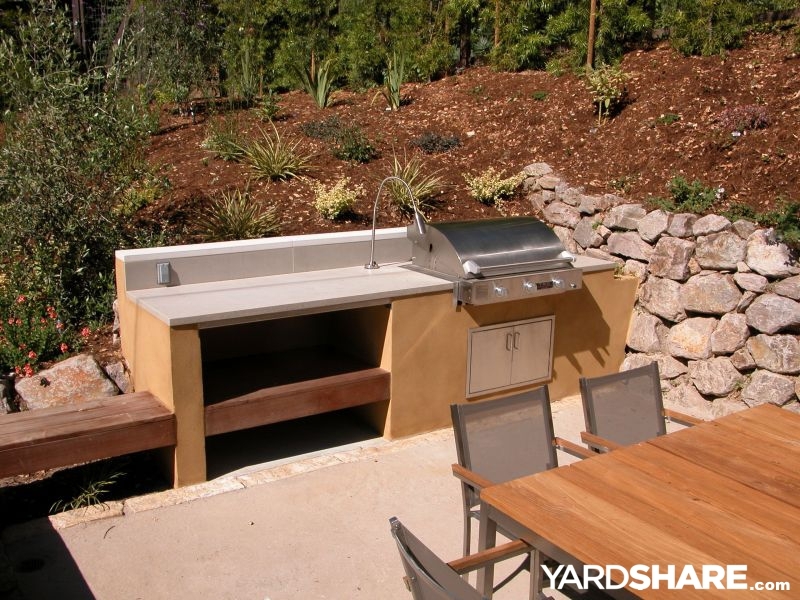 1 of 14: Outdoor kitchen features cast concrete countertop, lime plaster exterior, and infrared cook-top. 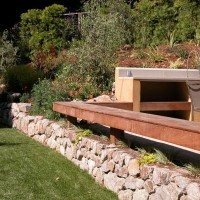 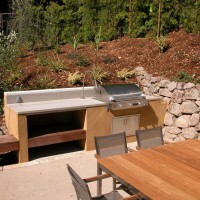 Furniture and cooktop are from Marin Outdoor Living. 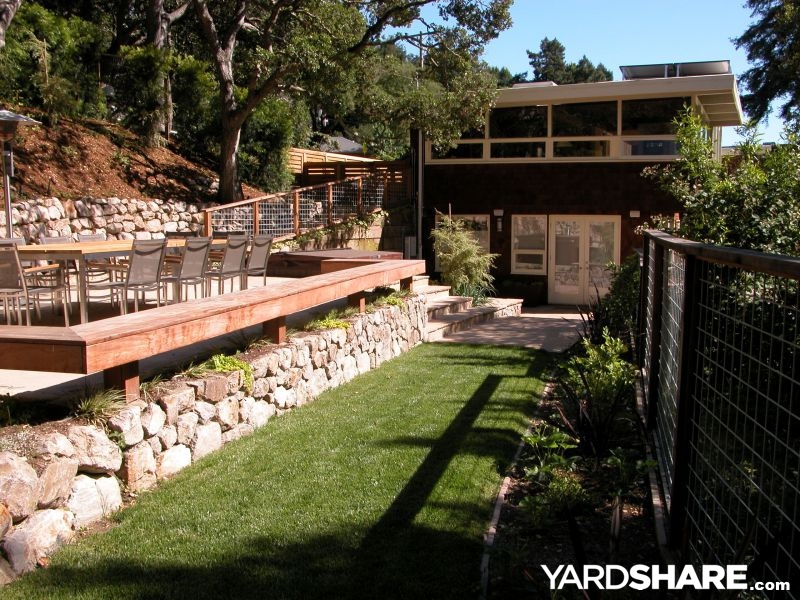 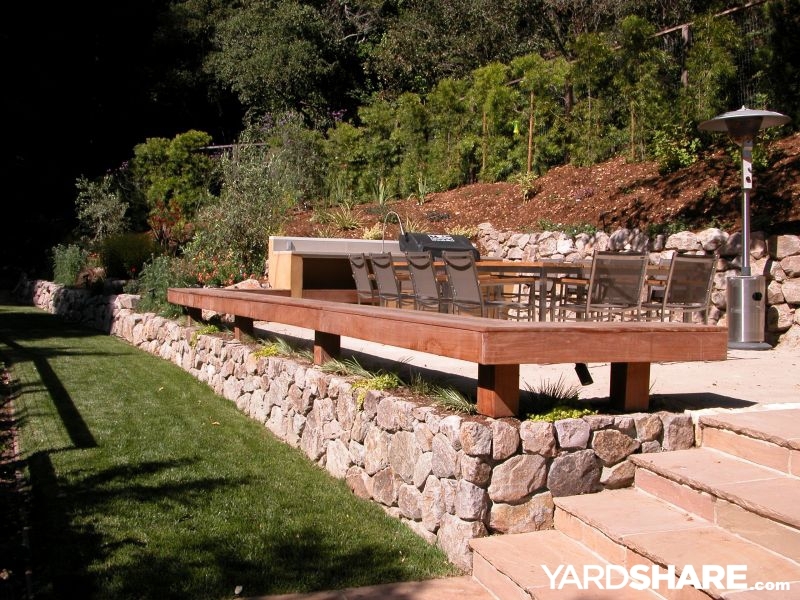 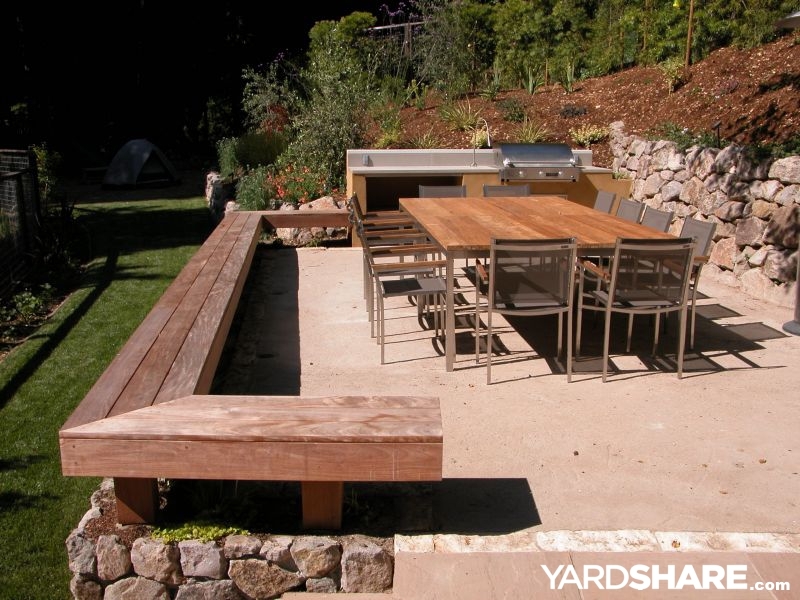 2 of 14: Teak bench surrounds stabilized decomposed granite paving dining terrace. 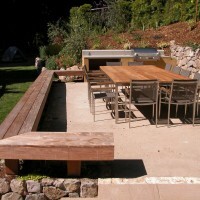 3 of 14: Another view of teak bench. 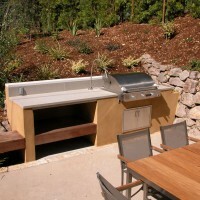 4 of 14: Another view of outdoor kitchen. 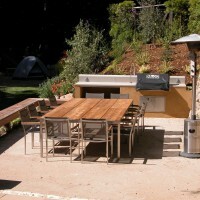 Table is recycled teak with stainless steel frame from Marin Outdoor Living. 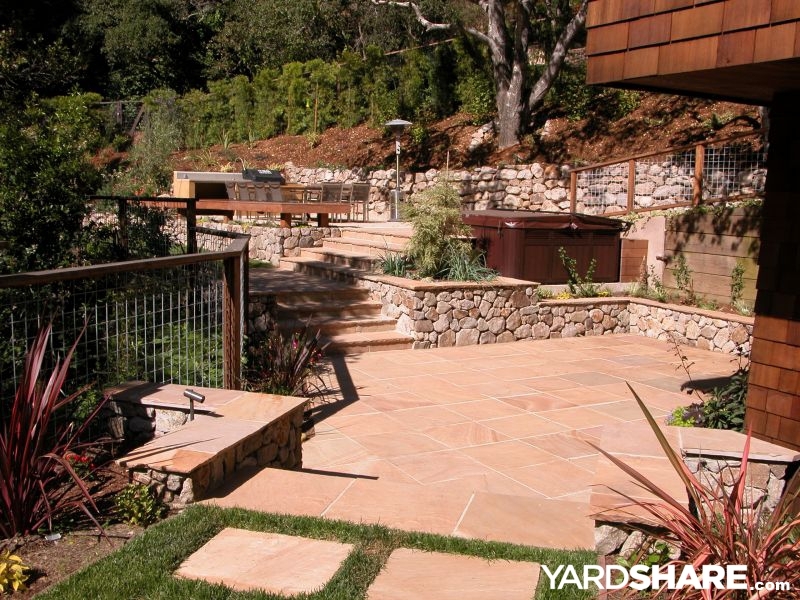 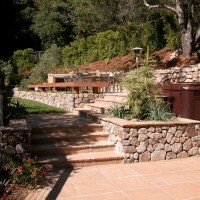 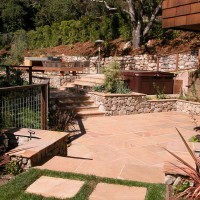 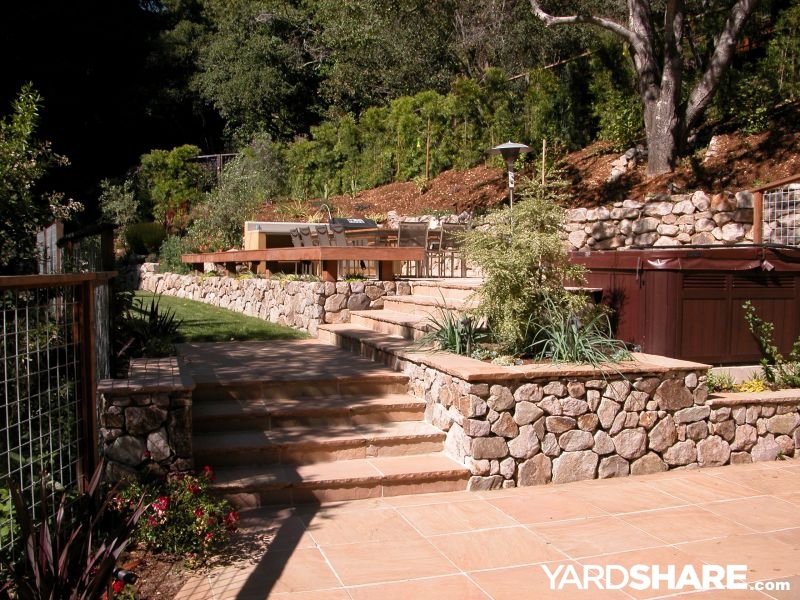 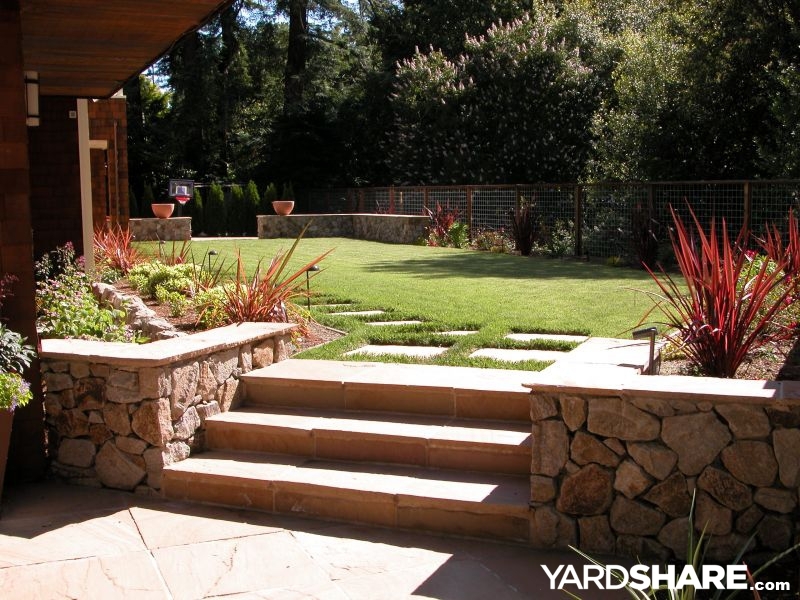 6 of 14: Flagstone steps lead up to spa access and outdoor dining area. 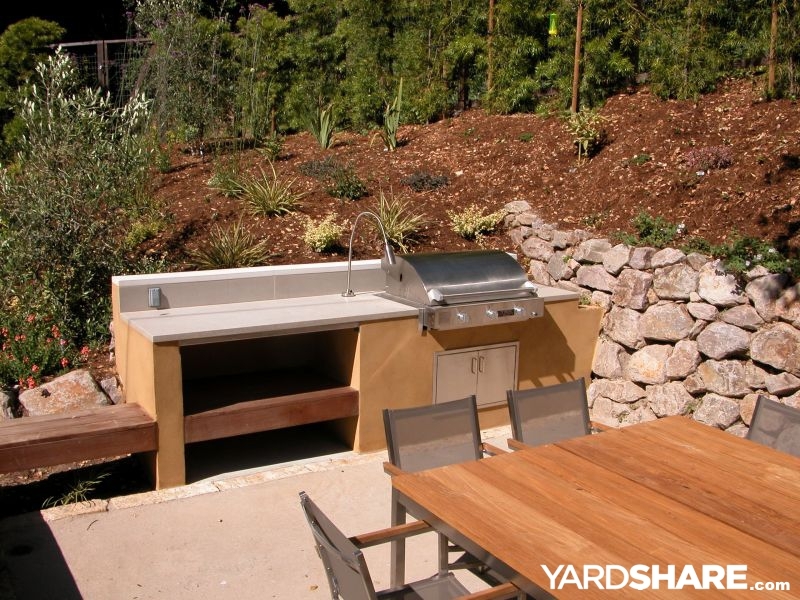 7 of 14: Outdoor kitchen and dining area. 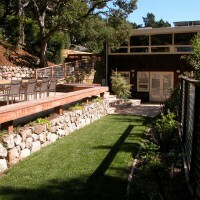 8 of 14: View down lawn allee to house. 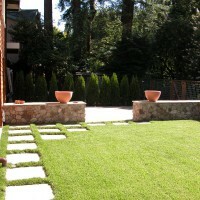 9 of 14: Flagstone patio view from lawn. 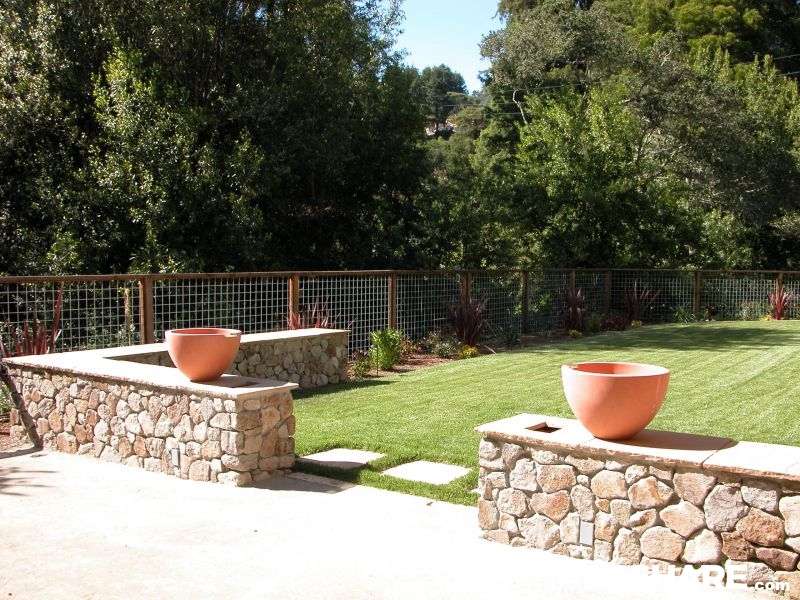 10 of 14: Twin water features with cast concrete urns on stone wall. 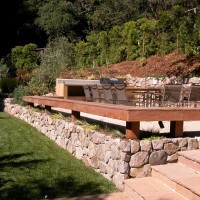 Water flows into the top of the walls. 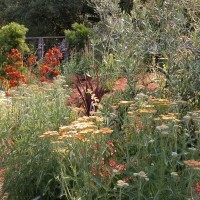 11 of 14: Plantings with Olive 'Swan Hill', Achillea 'Terra Cotta, Tanacetum parthenium 'Aureum', Agniozanthos, Phormium 'Dark Delight', and Diascia. 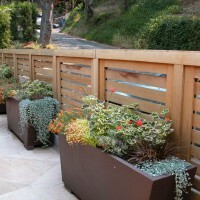 12 of 14: Metal planters with colorful plantings. 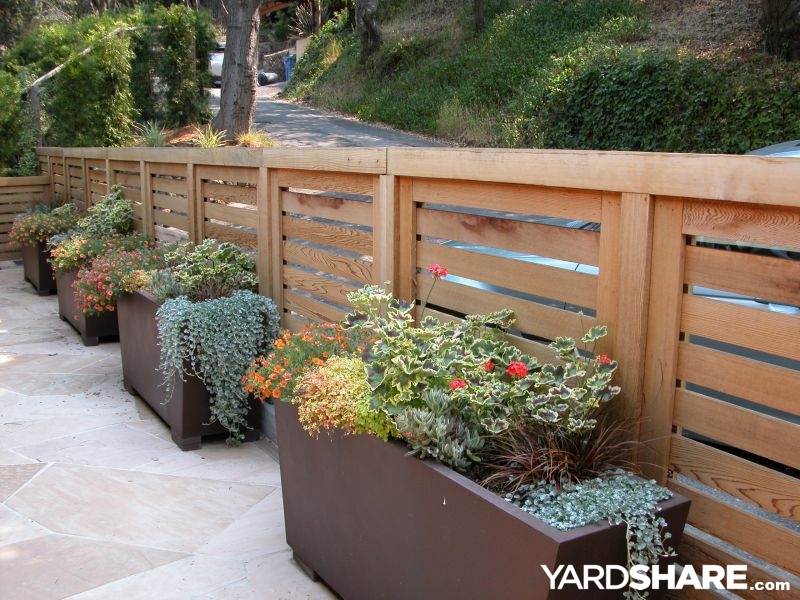 Containers from Marin Outdoor Living. 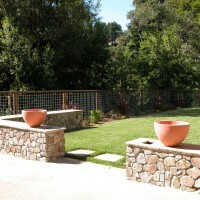 13 of 14: Cast concrete urns are twin water feature. 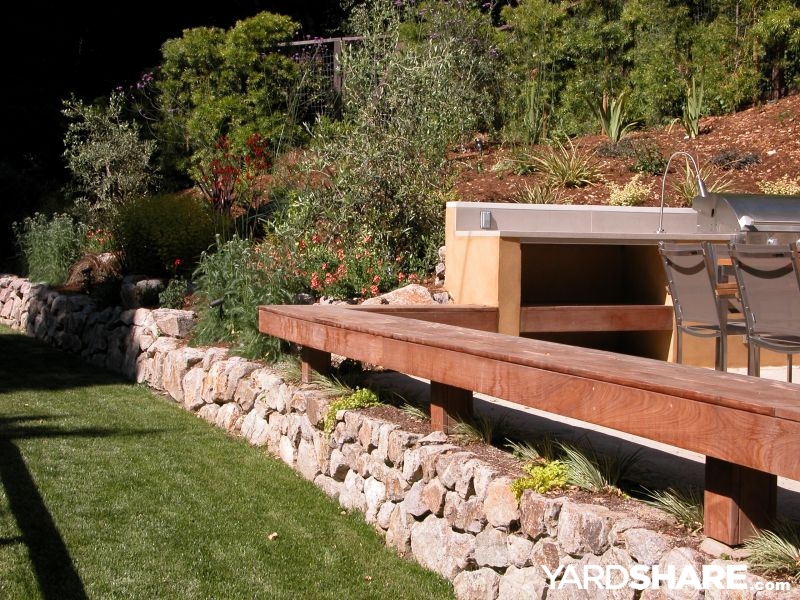 Water from urns spill into openings in cap of walls. 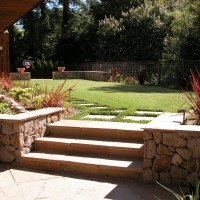 14 of 14: Stone steps lead up to lawn from stone terrace. 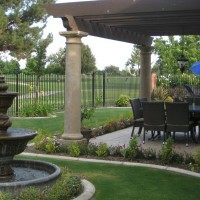 Your beautiful yard and entertainment center is gorgeous! 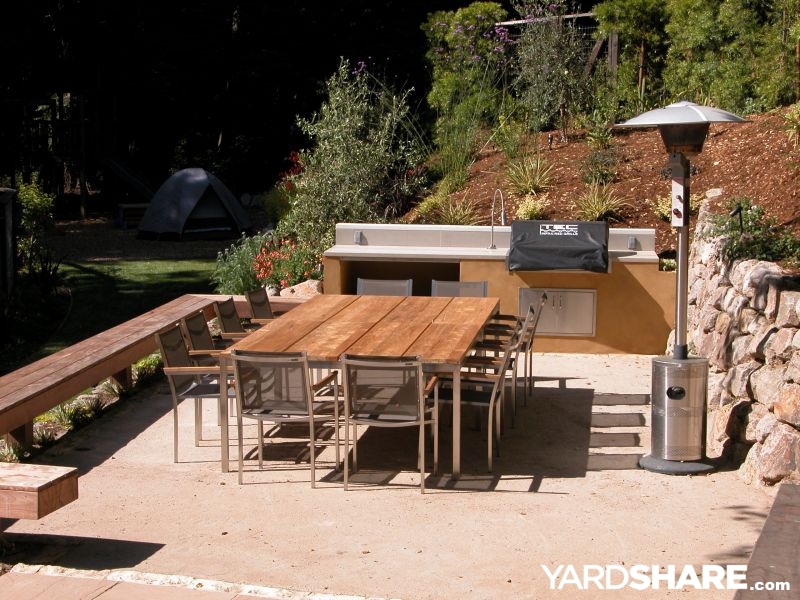 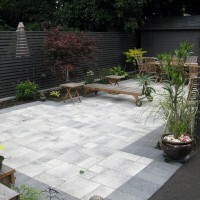 nYour spaciousness and design absolutely transitioned your outside living space into a designer's dream! 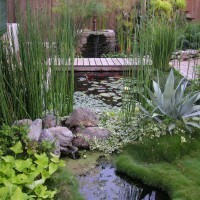 I love the whole thing. 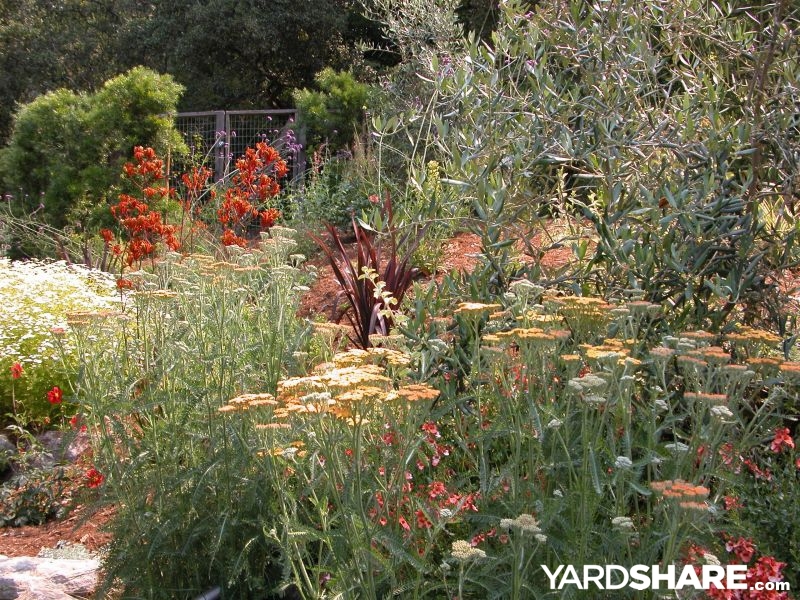 You made use of all your space and so pretty to look at.